What Can A Pocket Knife Be Used For? What Are The Benefits Of Owning A Pocket Knife? What Different Types Of Sharpeners Are Available? Did One Of Them Make The Cut? Thanks to our recent buyer guide on “shackets”, your dress sense may be sharp, but are your pocket knives? If not, we can certainly point you in the right direction again. Fortunately, there are some neat and convenient pocket knife sharpeners to help you maintain your knives, hunting gear, fishing accessories and workshop tools. You just need to know where to find them. These products are beneficial because they can make your items feel like new again in minutes and most can be used just about anywhere. Every man with a passion for nature and outdoor survival should own a pocket knife sharpener. Once you’ve had the realization that you need a pocket knife sharpener, you need to know the best ones around. Thankfully for you, we locked our interns up and made them sharpen our staffroom kitchen knives all day to analyze the latest models. Okay – that didn’t really happen. We might not have had a marathon testing session, but we’ve certainly done our research. 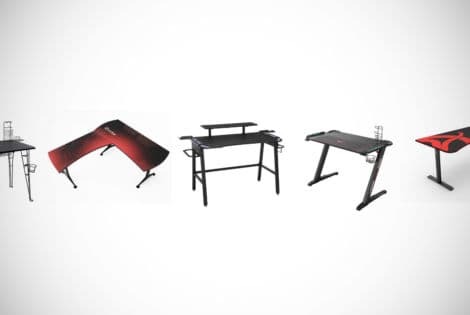 One of the cheapest models on our buyer guide not only offers exceptional sharpening stations, but it also offers a host of extras to help you in the outdoors such as a firestarter. Our editor has surprised us all by opting for a minimalist design in this JEOutdoors model. 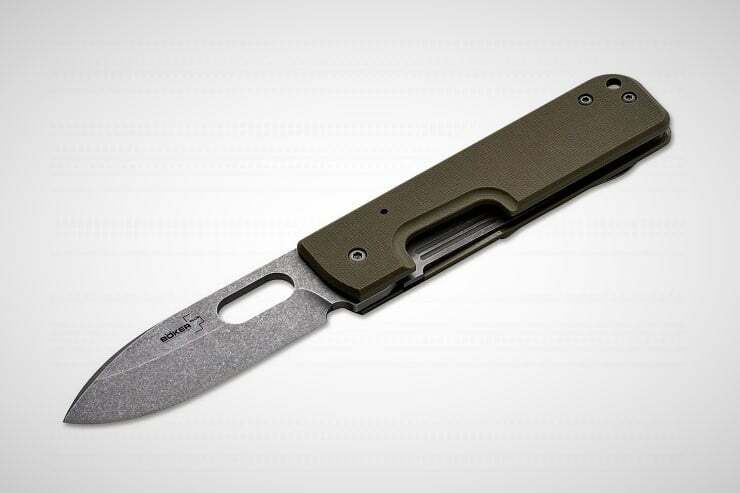 This is one of the sleekest and most compact pocket knife sharpeners on the current market. 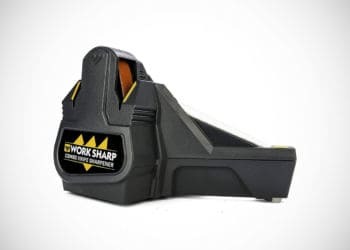 The first slice of our buyer guide looking for the best pocket knife sharpener will take us to the work of Sharpal. These guys have not only made an awesome product, but they are also selling it for a super affordable price. This is much more than a pocket knife sharpener. It has a total of six different functions, making it perfect for men who like to hunt, fish and explore nature. 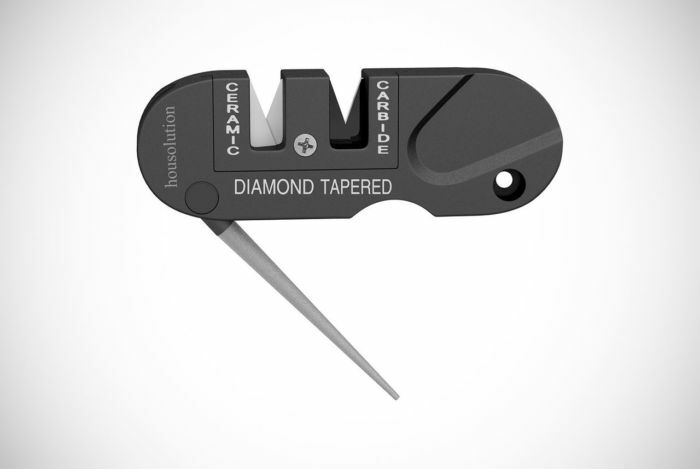 These functions include two edges for sharpening your knives, a fire starter tool, lanyard hole, a tapered diamond rod and even an emergency whistle that has a significantly high pitch to attract attention when in danger. The knife sharpening components are made with tungsten carbide blades to make easy work of keeping your knives razor sharp. The tapered diamond rod is also a talking point. It is made with grooves to cater to fish hooks, gut hooks and serrated blades. 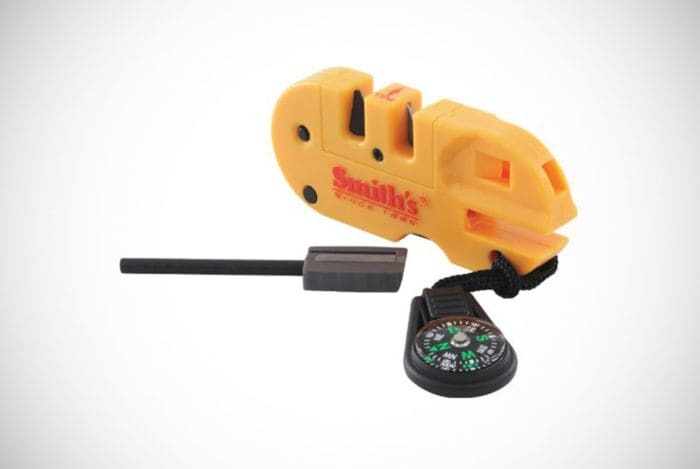 Hunters and knife throwers may want to consider the Smith’s pocket knife sharpener instead. Also at a cheap price, this sharpener offers many features. It has two slots to sharpen your knife. Both slots have had their angles preset so you can be guaranteed of the perfect sharpen for your knives every time. The two slots are not equal either. One slot has been equipped with carbide blades while the other is made with ceramic stone perfect for polishing. The two options are a great addition, but it gets better. Both are reversible to double the life of the pocket knife sharpener – giving you even more value for money. The other features on this model are a tapered diamond rod to tackle serrated edges. These quality inclusions are matched by the product’s overall convenience. Not only does it have a lanyard hole, but it’s also one of the lightest and most compact pocket knife sharpeners on the current market. It’s the perfect addition to your adventuring backpack. The first two pocket knife sharpeners were similar in their design. The third model we’re featuring from Work Sharp is much different. So, what did this 4th generation family business from Oregon, USA, come up with? Well, the answer is options. Along one edge is a ceramic rod that rotates to reveal a coarse finish perfect for sharpening tools, and in particular, fish hooks. On the opposite edge is a leather strop. This is ideal for keeping similar tools a cut above the rest. There is also a diamond plate and ceramic rods to help sharpen straight and serrated edges. It even has an angle guide to make sure you sharpen your knives in the right way. Altogether, this tool offers multiple types of materials to get a brand-new fell for your knives. It also has two sharpening slots. The ceramic slot is fine while the carbide slot is slightly more coarse. Both are perfect for sharpening your straight edges exactly as required. There is also a concealed tapered diamond rod that folds out ready to be used on your knives and serrated tools. To make use even easier, the manufacturers have added a finger groove to help you hold the tool securely when in use. 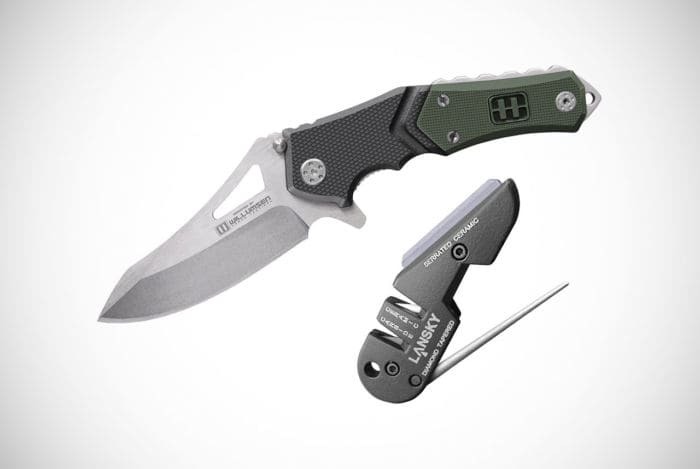 The inclusion of a lanyard hole makes this pocket knife sharpener perfect for any man who likes to go on outdoor adventures as well as backpackers. 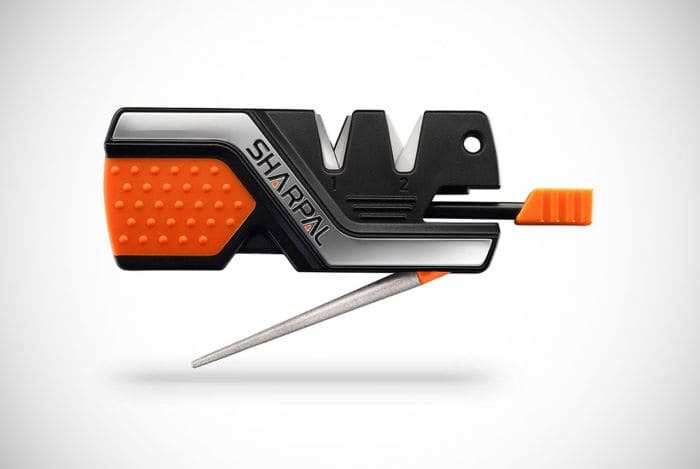 Click the button below to sharpen your knowledge on the Housolution Pocket Knife Sharpener. You might not get color options with the Accusharp Pocket Knife Sharpener, but you do get the option to buy in bulk for a friendlier price. 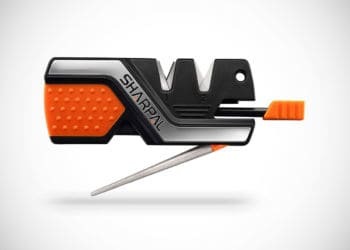 This is something a lot of guys do because they can then keep a sharpener in a different location from their bug-out backpack to their kitchen drawer. However, not to overlook that the color of this model is a bright orange which comes in useful if you’re looking for the sharpener in low-light conditions. This model doesn’t have all the bells and whistles as the previous ones do. By that we mean that it doesn’t have lots of extra features that can come in useful in different situations. Instead, it does what it’s meant to and sharpens knives – even serrated ones. 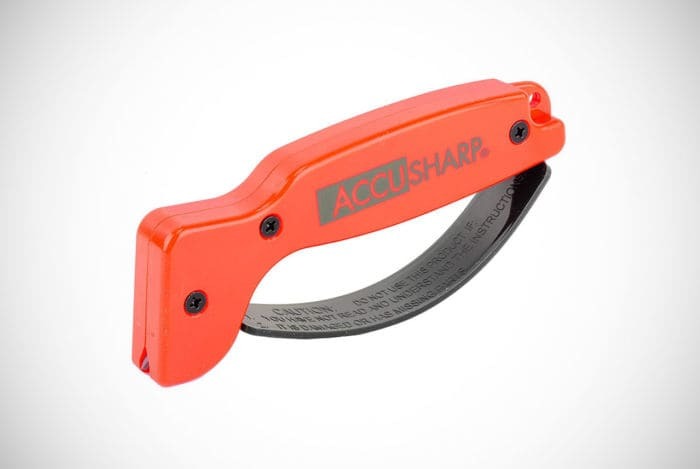 Accusharp even claims that it can be used on machetes and hand axes effectively. Whatever you use it on, you can enjoy enhanced safety from their grip-like design. 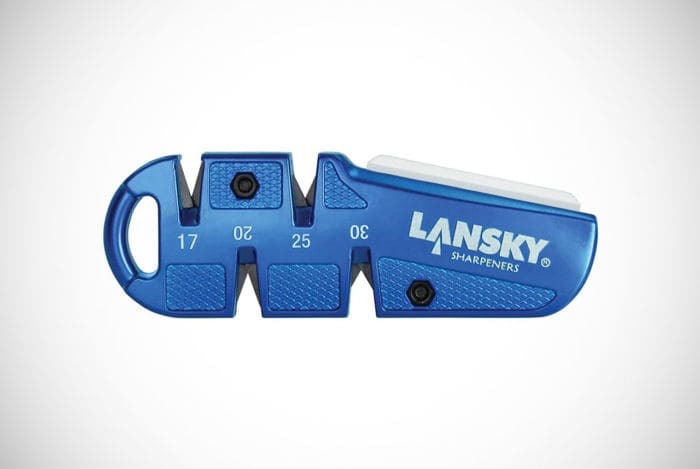 If the last one was straight to the point, then the Lansky Pocket Knife Sharpener is straight to lots of points. What are we going on about? Well, this design actually has four different sharpening slots to cater to different angles. And that isn’t even mentioning the built-in ceramic stone either. This stone is your go-to tool to complete fine polishing. The four sharpening slots are made with effective carbide blades. Each slot works at a different angle to cater to your different knives and tools. There is a slot with a 17-, 20-, 25- and 30-degree angle. All of which are clearly labeled so you know the exact angled blade you’re using. 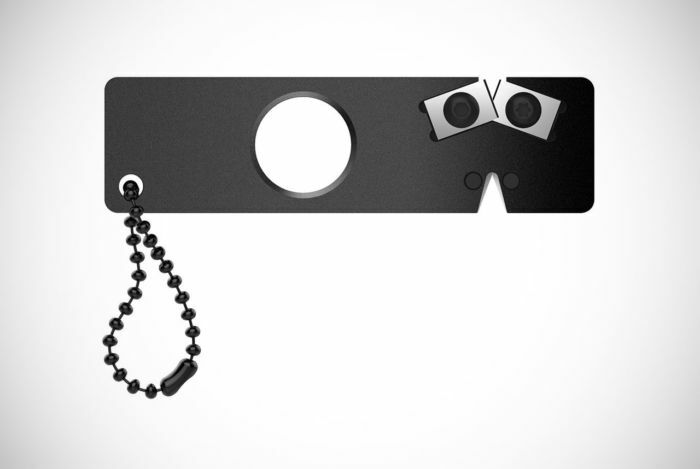 This cool design is rounded off with a generous lanyard hole. 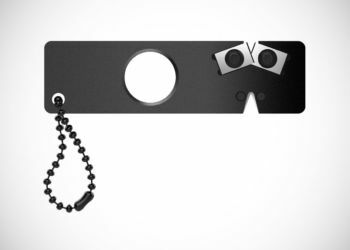 It wouldn’t be impossible to clip other things on this hole such as your keychain or an ID badge. Another fantastic and highly in-demand pocket knife sharpener is this model by Sungwoo. This sharpener has been made to be your outdoor companion. 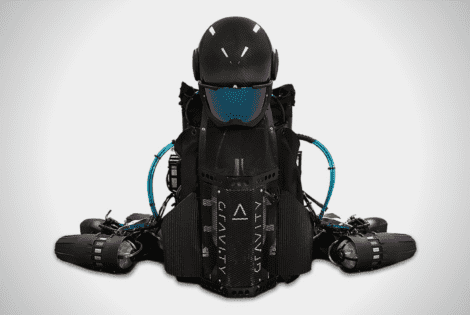 Its smaller dimensions and foldability have made it so. Yet, it has also been made to work well for kitchen knives and indoor tools. There are two stones on this sharpener. These are made with different grit ratings and can be used to sharpen different knives and tools. The folding design keeps these two stones protected when not in use. The folding design also maintains the transportability of the item but allows it to be much bigger than most other pocket knife sharpeners. In fact, when unfolded, this model reaches a length of just under 9 inches. It’s also another model that has been made to keep your fingers protected. This is achieved through a friction handle that keeps you in control while honing. We already saw some of the work from American-born Work Sharp. Well, this product from them brings a new dimension to the table – quite literally. Instead of getting a pocket knife sharpener that can slip into your pocket, some of our following will be looking for sharpeners to go on their workbench. Here is your answer in their bench-top model. This model isn’t designed to accompany you up the side of a mountain. It’s a worktop knife sharpener ready to maintain your knives from home or work. For that reason, they’re slightly chunkier and heavier than the other models we’ve seen so far. They also come at a slightly bigger cost. Although you can buy in packs of five to save a few bucks. The product has two sharpening stations to cater to different knives, tools and needs. One of the stations is a unique abrasive belt while the other is a ceramic surface. Together, they cater to flat edges and serrated knives effectively. It’s also an efficient model that makes easy work of keeping your knives a cut above the competition. 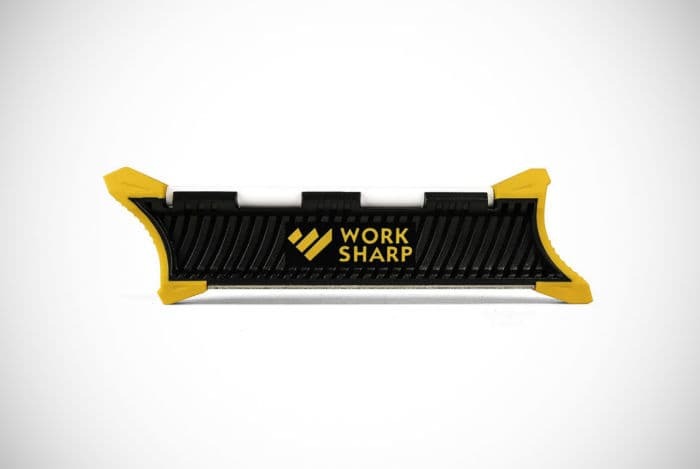 Sticking with the Work Shop gang but showcasing their different talents is this compact pocket knife sharpener. 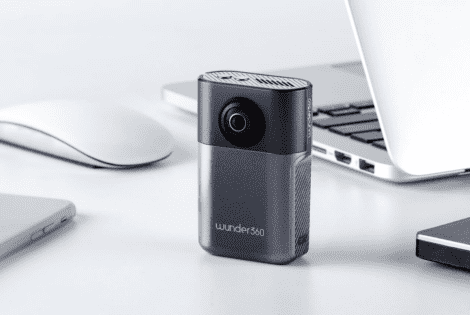 It’s compact, light and ready to go on your next adventure with the guys. It’s the perfect gift for any outdoor-loving guy at a wallet-friendly cost. It includes two sharpening stations. One of them is a 320-grit diamond plate with a 20-degree angle. The other is a fine ceramic station with a 25-degree angle. When using either station, your hand is placed in a central space with grooves, so you always remain in control when sharpening your pocket knives. Some other worthy points about this design are that it comes pre-assembled, so you can get straight to sharpening your knives without waiting. Moreover, it comes with a lifetime warranty for the whole family. If this model has an issue in your ownership or when owned by a family member, you can count on Work Shop to replace it for you. 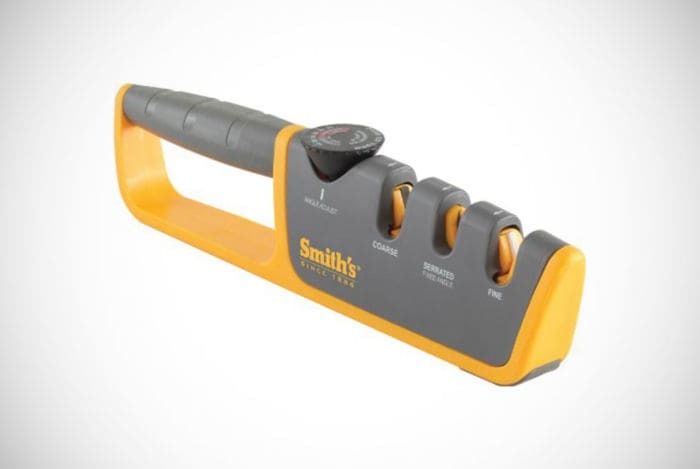 One of the most innovative and well-designed pocket knife sharpeners on the market is the Smith’s 50264 model. It has a slightly different shape to many of the other designs by separating the soft rubber handle from the main area of the tool. This may add a little more bulk, but it certainly enhances safety and adds control. It also has rubber feet to prevent the tool slipping when placed onto a surface. There are three sharpening stations on this design. There are a coarse slot, a fine slot and a slot for serrated knives. Where it excels the standards set by many other pocket knife sharpeners is in one awesome feature. The sharpener includes a dial which adjusts the angle of both the coarse and fine sharpening slots. Simply turn this dial to fine-tune your sharpening between 14 and 24 degrees. It may not have any additional features, but it has a phenomenal main act. The next pocket knife sharpener is a no-thrills design but will sharpen your knives, kitchen knives and small tools effectively. This USA-born model is perfect for sharpening newbies who have never used one of these products before. It prioritizes safety ahead of anything else. It has a generous ergonomic handle. Below the handle is a full-length rubber strap to work as a barrier between your fingers and your knife’s blades. The product features one sharpening station with carbide blades to cater to many types of knives. Their blades are expected to last between five and 10 years too – so you know this is a quality investment. When in need of maintenance, you simply get out some soap and water or stick it in the dishwasher. Hit the below link and learn even more about this quality item. We’ve also thrown a combo pack into our featured list. Instead of just getting a pocket knife sharpener, you can get an EDC pocket knife here as well. This cool and sturdy 440C stainless-steel blade is the cherry on the top of an awesome product. The sharpener has a ceramic rod made for serrated blades and two other sharpening stations. One of them is another ceramic slot while the other is made with carbide blades. These multiple sharpening stations mean the product doesn’t just cater to one type of pocket knife but can be a versatile addition to your adventuring kit. 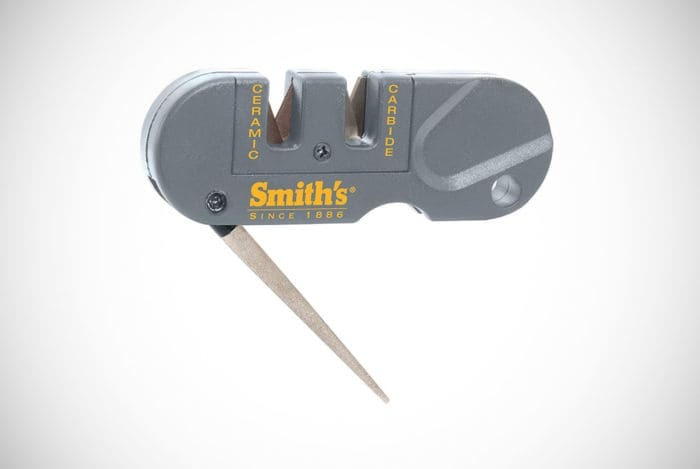 We might be calling this Smith’s creation a pocket knife sharpener, but really, it’s every man’s must-have survival tool. This piece of quality gear does more than sharpen your knives and tools. It has multiple additional features to keep you safe and prepared for the great outdoors. So, what little extras does it include? You will find a firestarter with twice the ehm, firepower, than regular firestarters. It also has a compass to keep you in the right direction, a signal whistle in case of emergencies and an LED light to help you find your way or your other outdoor gear in low light conditions. Despite all these useful accessories, this is one of the lightest pocket knife sharpeners on our list. These are fantastic supporting acts to the tool’s main function. There are multiple sharpening slots on this product. It has a tapered diamond rod to take care of gut hooks and to sharpen serrated blades. There is also a ceramic and carbide slot to take care of your other pocket knives and tools. You get all these sharpening options and extras for an unbelievable price. Don’t believe us? Take a look for yourself. We’ve seen similar designs to the Smith’s 50185 model. This ergonomic-handle design will certainly appeal to many guys. However, while most of these designs have offered limited sharpening stations, this model manages to merge their ergonomic handle with multiple sharpening slots. Not an easy feat and certainly not something to be overlooked! In fact, there are three different sharpening stations on this one pocket knife sharpener. Two of them are featured towards the front of the design and the handle will make using these slots convenient and exceptionally safe. 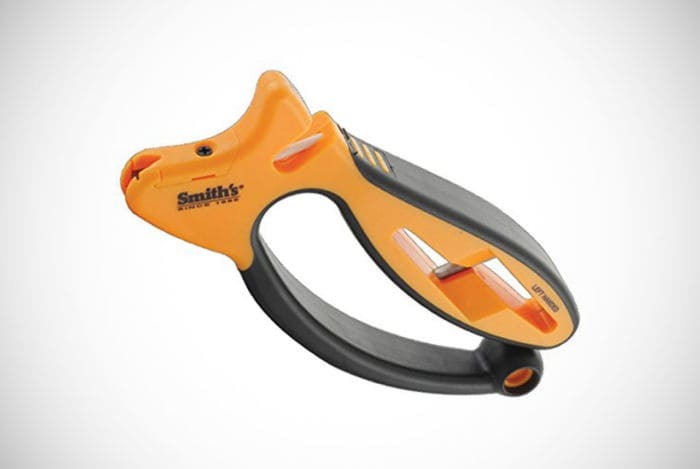 Smith’s have then cleverly added a cutting station within their handle. This is perfect to be used on various knives but is especially useful for sharpening scissors. Certainly not something that every manufacturer has considered but an exceptional and convenient inclusion. We will finish our look at the best pocket knife sharpeners with an aluminum design that has not yet been featured. JEOutdoors are the team responsible for this creation and we’re sure they will accept responsibility of such innovation. This is by far the sleekest and most compact design from all the products listed here. 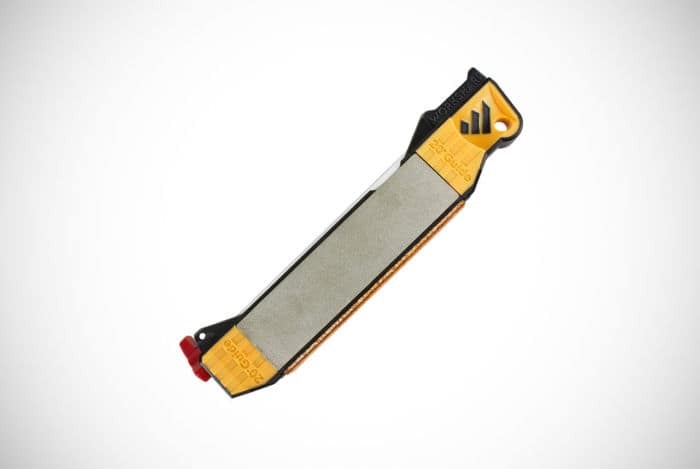 Unlike the rest, this one is exceptionally thin and offers sharpening options in a different way. On one side is a carbide slot to set the edge of your knife perfectly. On the other side is a ceramic slot with carbide blades to maintain your edge. To ensure your safety without offering a proper handle, it has been created with a hole in the center. This hole is for your finger so you can maintain control and safety when sharpening your pocket knife. There is also a lanyard loop attached to help you keep it on your backpack. To round off an excellent pocket knife sharpener, JEOutdoors provide this item with a lifetime warranty. Meal times – when in the wild and needing to refuel, you will find that a pocket knife comes in handy for many tasks. From gutting your catch of the day to just cutting up some fruit, they come in handy when preparing meals and keeping everyone fed. Camp building – When on your campsite, a pocket knife can be used to help you build many different useful things. They can help you make a washing line for your clothes, or if you’re really in touch with nature, they can help you make your shelter for the evening. Not to forget that they can be used to cut kindling for your firepit. Opening packages – say goodbye to frustrating attempts at getting into your deliveries. A pocket knife is a perfect tool to get into boxes. The best benefit of using a pocket knife to cut through tape is that you maintain the condition of the packaging. This lets you re-use the box in the future and keeps it intact in case you need to return your delivery. 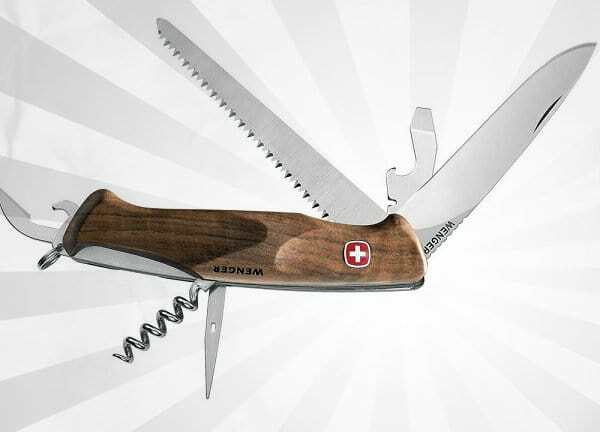 Emergencies – we’ve all seen movie stars using a pocket knife to save the day. Whether it’s cutting someone free who has gotten stuck, cutting clothes to assess an injury or even performing minor surgery, a pocket knife can be a great help. The various emergency situations that may arise mean there are countless uses for a pocket knife in emergency scenarios. Save money – buying a new piece of gear doesn’t sound like the best way to save money. However, if you are already the proud owner of a decent pocket knife, you really don’t want to be spending a lot of money on buying a replacement when the blade gets a little dull. Instead, a pocket knife sharpener is the cost-effective option. These tools come at relatively little cost and can extend the life of your knives considerably. 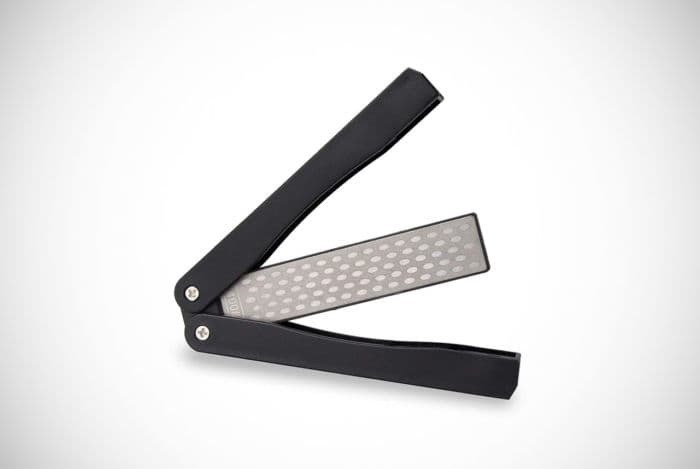 Convenience – many designs allow users to sharpen their knives and tools anywhere they like. The compact dimensions and lightweight design make them come in extremely useful in some of the most demanding situations. Many of these situations are when a pocket knife would be the only solution – making a pocket knife sharpener a very important tool. Easy to use – once you understand the different ways to sharpen a knife and the angle of your knife, these tools can be used with confidence. This is why we’ve also addressed these issues here. Now you can use a pocket knife sharpener in nature – like second nature. Multifunctional – one of the other benefits of a pocket knife sharpener are in the additional features that many of the designs come with. Many of the best models – like the ones above – have other uses that come in useful on outdoor adventures. Expect to see pocket knife sharpeners with firestarters, compasses, emergency whistles, lanyard holes and more. Just as our list of pocket knife sharpeners includes many different designs, there are also lots of different types of pocket knife sharpeners. However, not all of them are portable and suitable to be taken on your hunting trips with the guys. One popular method is to use a sharpening stone. These stones are more commonly referred to as whetstones. They can be of different quality and made from varied materials, including ceramic and diamond. These can be single products, or the stone can be attached to a multifunctional sharpener like we saw in some of the above products. A big advantage of whetstones is that they are highly versatile. They can be used on your knives but can also sharpen tools and fishing gear. Another popular type of pocket knife sharpener is a honing device. Nearly all of the models above included some sort of honing slot. However, there are different types of slots – as you’ve also seen in our top 15. Some slots will hone and polish your blades while others will sharpen them. Benchtop knife sharpeners and electric sharpeners provide another option for us guys. They are usually made in the same way as honing devices but may include abrasive belts as well. These models can be some of the most efficient and effective because of their size and power. However, this same benefit prevents them from being taken on your adventures. These are the three most popular types of knife sharpeners which give you food for thought. You will also discover that many of the more portable models combine honing slots with whetstone-like stations. First, let’s understand the difference between straight and serrated blades. A straight blade is any knife with a straight edge. Most knives have a straight edge. However, some blades have a jagged edge. If you’re struggling to imagine this then think of a bread knife. These serrated knives have a serrated edge which have increased in popularity due to their aggressive and rugged aesthetic. Interestingly, some more modern pocket knives use both edges in a type of straight-serrated combo. Because these blades are significantly different, they require different types of sharpeners to keep them well maintained. 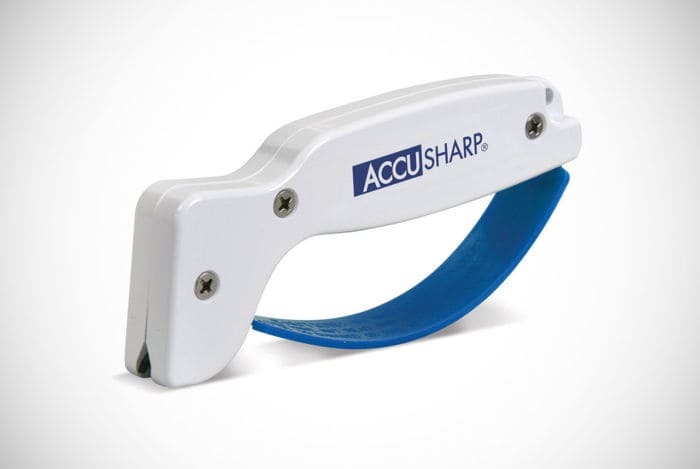 While most types of sharpeners can cater to straight edges, rods are the most effective way to sharpen serrated knives. You will notice that many of the models on our buyer guide include a pull-out rod. These rods give you more accuracy to sharpen the contours of the serrated blade. Sub 10 degrees – knives with an angle below 10 degrees are often used for cutting materials that are relatively soft. Pocket knives with an angle of around seven or eight degrees will almost certainly be straight-edge designs. 10-20 degrees – these sorts of angles will come in useful for gutting fish and chopping meat around your campfire. They are generally not ideal for chopping stronger materials or to be used in a chopping technique. 20-30 degrees – these knives will be more durable than those with a lesser angle. They can be considered as hunting knives and are great for skinning and similar activities. They will also be more robust for tackling some building tasks in the wild. 30+ degrees – even more durable are knives with an angle above 30 degrees. These knives can be utilized with much more brute force to achieve cutting. Whichever type of knife you have or plan to own, it’s important that you get a pocket knife sharpener that matches it. Many models have multiple slots to be tailored to knives within a specific angle range. More sophisticated models can be bought that provide a wider range of angles. We’ve had the pleasure of walking you through some of the best pocket knife sharpeners on the market. We’ve taken a detailed look at models from the likes of Smith’s, Work Sharp, Accusharp and more. There are different types of sharpeners with vastly different designs which is why we made our showcase full of difference to cater to all men and their needs. 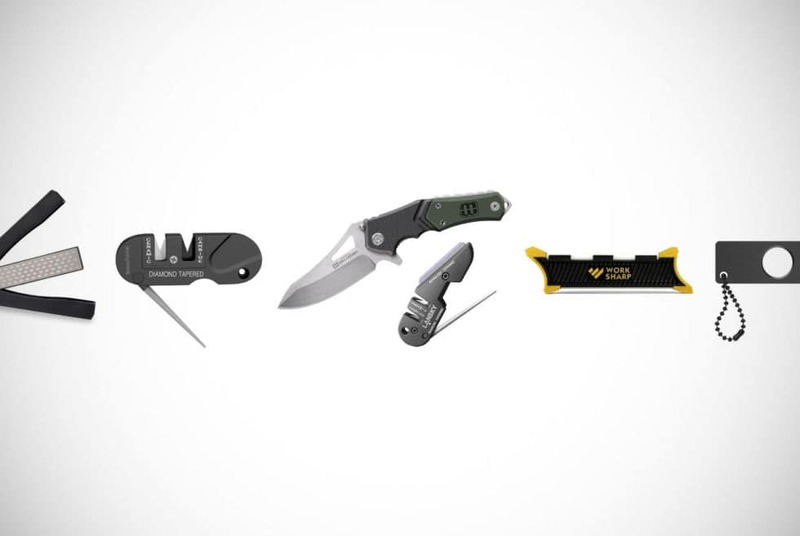 So, did one of these pocket knife sharpeners make the cut for you? If you’ve managed to narrow down your search and need some help to make your decision, then click on the links to discover more about each product. Remember, there is no perfect pocket knife sharpener. You just have to find the one that matches your needs and uses perfectly. Thanks for joining our buyer guide and sharpening your knowledge with us. We hope we have been able to get to the bottom of some of your questions regarding these products. But more importantly, we hope we have managed to help you find another quality possession that will last you for years more of adventuring. Why not check out some tactical tomahawks next to go with your pocket knife sharpener? 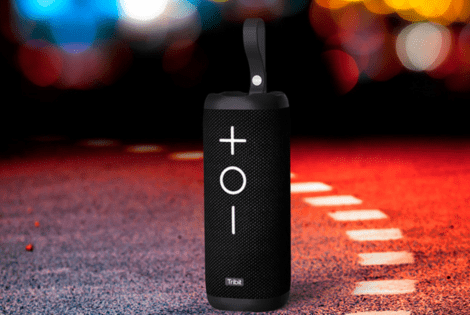 The Tribit XBoom speaker delivers bold 360°sound anywhere and 20 hours of continuous playback. It is IPX7 waterproof and lightweight at only 19.2 ounces.